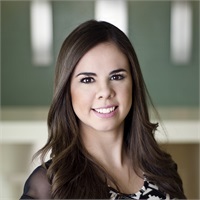 Jazmin joined Hughes Financial in the spring of 2015. In her short time at Hughes Financial, she has asserted herself as a valuable asset to the group. She is currently responsible for the processing of all new business and assisting the financial planners with client service requests. Growing up in Mexico and commuting regularly to the US, gave her the advantage of becoming fluent in two languages. This skill has proven to be instrumental in servicing our foreign national clients. When Jazmin is not assisting the agents in the office, she is busy attending classes in hopes of earning her bachelor's degree in Business in two years then pursuing her Masters in Finance.